For the style discerning modern woman looking for a watch that combines style and functionality, look no further than the Michael Kors Runway Access collection. The iconic Runway is back and better than ever in an innovative smartwatch design. A trendy two-tone case presents a rose gold tone bezel set with shimmering stones, perfectly complimenting the pretty pink silicone strap. In this next evolution of wearable technology, the Runway smartwatch offers a new highly personalised experience with heart rate tracking, swimproof technology, NFC payments, GPS functionality and more. 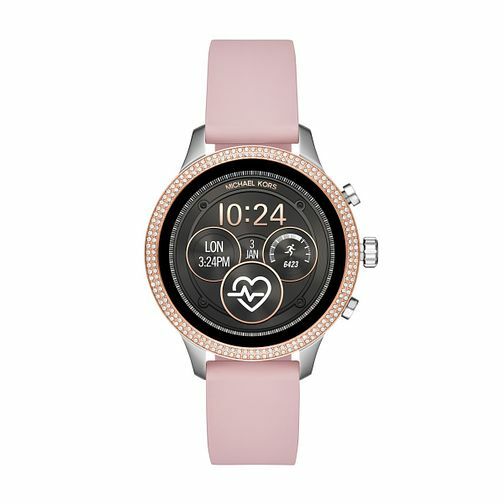 Customise the full-round display with new digital dial designs that connect to and visually show your heart rate, receive notifications (on the go) and automatically track your activity from the sidewalk to the gym. 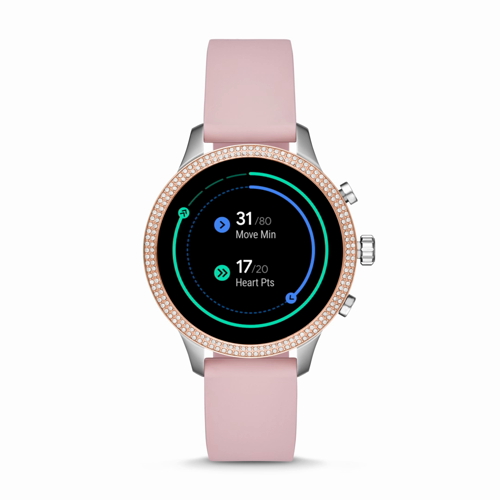 Smartwatches built with Wear OS by Google™ are compatible with iPhone® and Android™ phones. Wear OS by Google and other related marks are trademarks of Google LLC.